WHY CHOOSE US FOR YOUR health and safety NEEDS? Western Safety and Health Consulting is based in Vancouver, BC, Canada and Western Washington State, USA. For over 20 years we have been providing our clients with a wide range of occupational health and safety consulting services. Our true passion is to assist our clients in achieving a total safety management program and to achieving compliance with WorkSafeBC, Federal and State OSHA Regulations. ​Does your business require a new written occupational health and safety program? We don't just sell safety manuals, we develop safety programs specific to your companies needs. An effective safety and health program not only prevents injuries and accidents in the workplace but also assists in achieving compliance with WorkSafeBC & OSHA regulations. Our certified and highly educated safety and health professionals will provide businesses of all sizes, and from any industry, with professionally developed occupational safety and health programs. We are fully committed to ensuring our written safety programs are in full compliance with provincial WorkSafeBC & Federal OSHA legislation. ​Is your current health and safety program outdated and needs upgrading? With over 20 years of professional Occupational Health and Safety consulting experience in a wide variety of industries in Vancouver, BC, Canada and Western Washington State, USA; Western Health and Safety Consulting can assist your business in all areas of your Occupational Health and Safety Program. Our Occupational Health and Safety Consultants are experienced professionals and can assist your organization for any workplace safety needs you may have. As a leader in the occupational health and safety industry we offer professional OHS consulting services to assist your companies safety culture and to ensure compliance with WorkSafeBC OHSR Regulations & State OSHA Law & Regulations. Part of our health and safety consulting service is our health and safety audit and OHS auditing process which is an effective tool to evaluate your current health and safety program. Our safety consultants ensure problem areas are identified and solutions are suggested. An effective occupational health and safety program not only prevents workplace safety injuries and accidents in the workplace but also assists in achieving compliance with WorkSafeBC OHSR (WCA) Regulations & OSHA Regulations. We provide employers professional legal services to ensure your company operations are in compliance with the WorkSafeBC OHSR Regulations , OSHA Regulations and Washington State health and safety regulations. Have you been issued orders? No problem, we can help. ​All our health and safety training courses are conducted directly at our client's site - we come to you. WE REQUIRE A MINIMUM OF AT LEAST 8 PARTICIPANTS TO CONDUCT A COURSE. WorkSafeBC is a provincial agency dedicated to promoting safe and healthy workplaces across B.C. They partner with workers and employers to save lives and prevent work-related injury, disease, and disability. Their services include education, prevention, compensation and support for injured workers, and no-fault insurance to protect employers and workers. WorkSafeBC administers the Workers Compensation Act for the British Columbia Ministry of Labour. WorkSafeBC has the legal authority to set and enforce occupational health and safety program standards, assist injured or disabled workers, and assess employers and collect funds to operate WorkSafeBC.. They collaborate with them to prevent injury or illness, and help employers comply with the Occupational Health and Safety Regulation and the Workers Compensation Act. The Washington State Department of Labor & Industries (L&I), Division of Occupational Safety and Health (DOSH) is responsible for administering the requirements under WISHA. Employers in Washington must follow safety and health rules, called standards, to protect their employees from workplace hazards. The Department enforces the rules by inspecting workplaces without advance notice, and by investigating work-related fatalities, incidents and complaints. When a violation is found, they can issue a citation requiring the employer to correct the hazard. The WISH Act requires monetary penalties for serious violations. 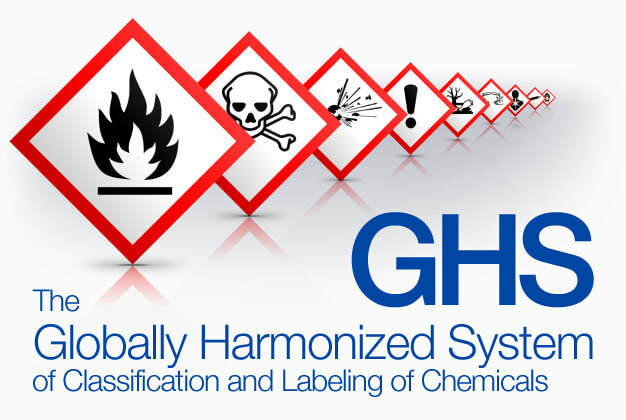 As required by WISHA, they enforce general safety and health standards, also called horizontal standards, that all employers must comply with (Chapters 296-24 and 296-62 of the Washington Administrative Code (WAC).